Dee Snider - Rocktopia – On Tour This Spring! 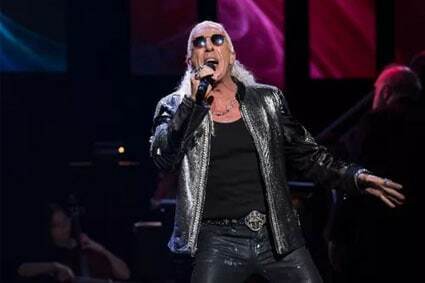 Dee Snider, lead singer of the multi-platinum-selling band Twisted Sister, returned to Broadway as a special guest vocalist in Rocktopia from April 9 – 15, 2018. Snider joined Rocktopia again for its national tour in the fall of 2018 at Tilles Center for the Performing Arts in New York and Bergen PAC in New Jersey. Snider became lead singer of Twisted Sister in 1976 and wrote the massive hits “I Wanna Rock” and “We’re Not Gonna Take It.” He was previously seen on Broadway as Dennis in the Tony-nominated musical Rock of Ages, which featured both of his hit songs.